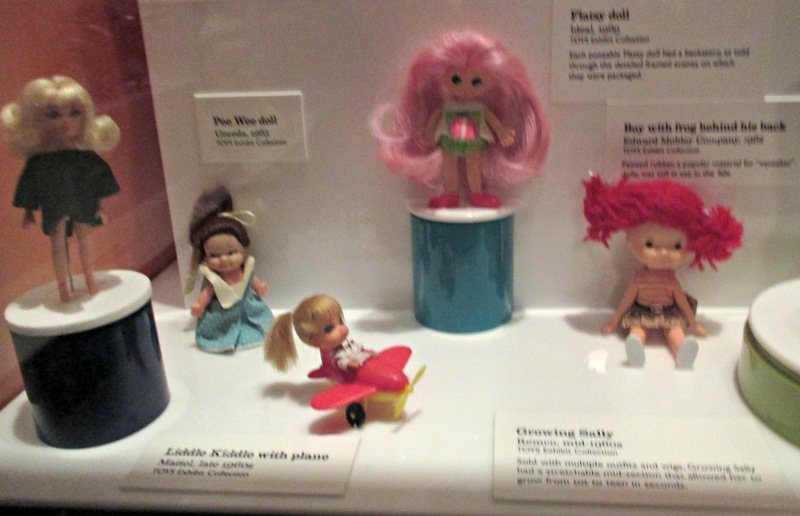 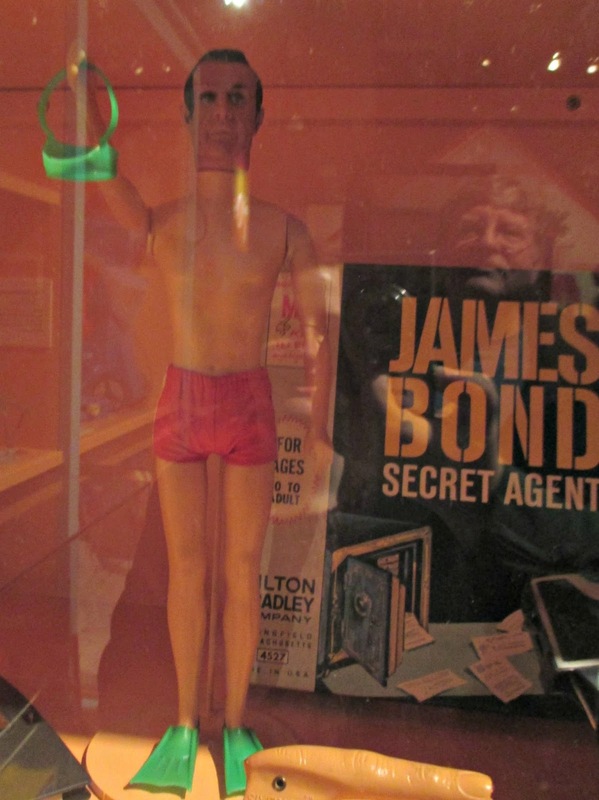 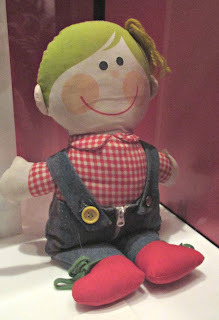 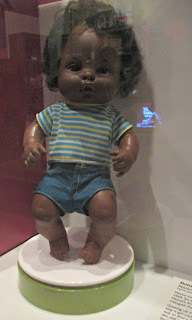 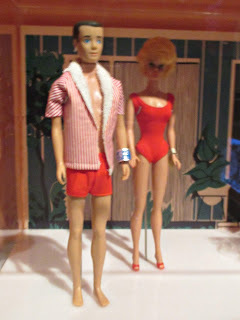 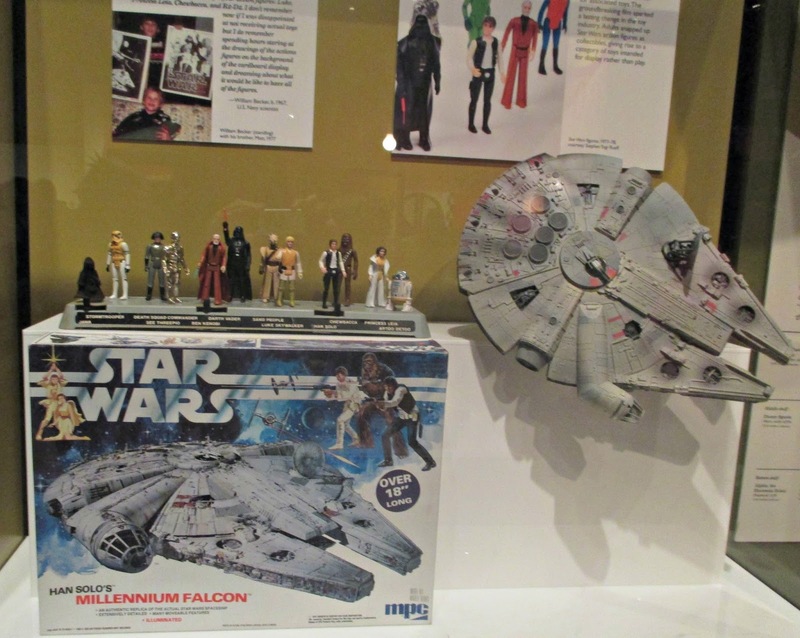 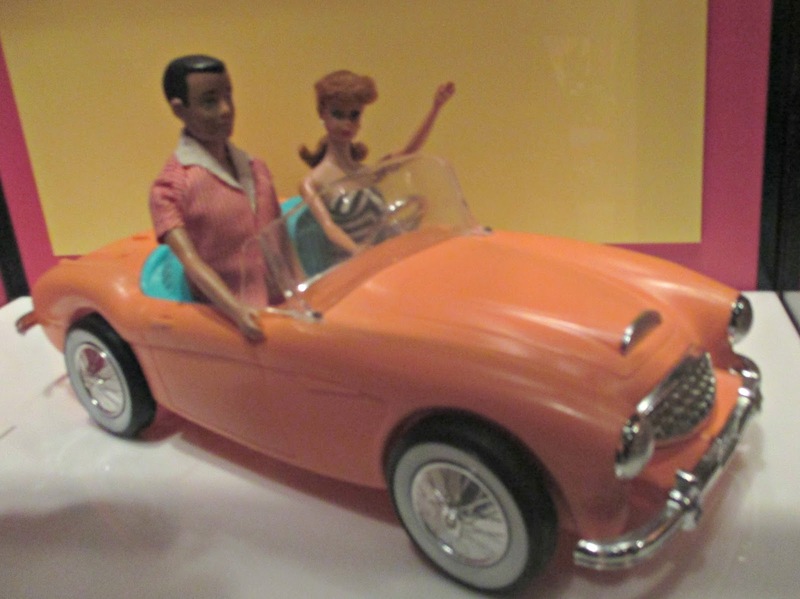 I was lucky to be able to visit the Missouri History Museum, which was having an exhibit on the toys of the 50s, 60s and 70s. 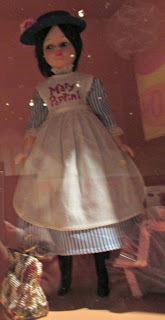 It was so great! 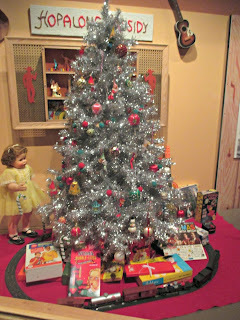 I went with a friend and her parents, who remembered many of the toys there fondly. 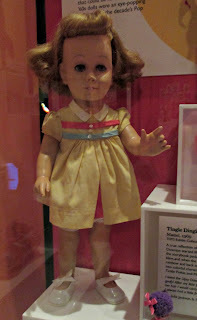 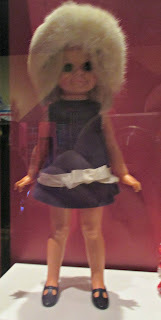 I focused on the dolls of course, but I took many pictures of non-dolls as well. 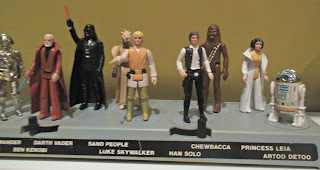 This is going to be a long post! I did my best to note names of toys and get decent pictures, but did not always succeed. These dolls are all from the 1950s. 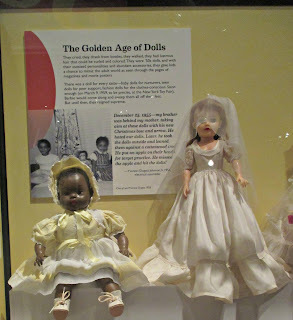 I love the baby doll in yellow! 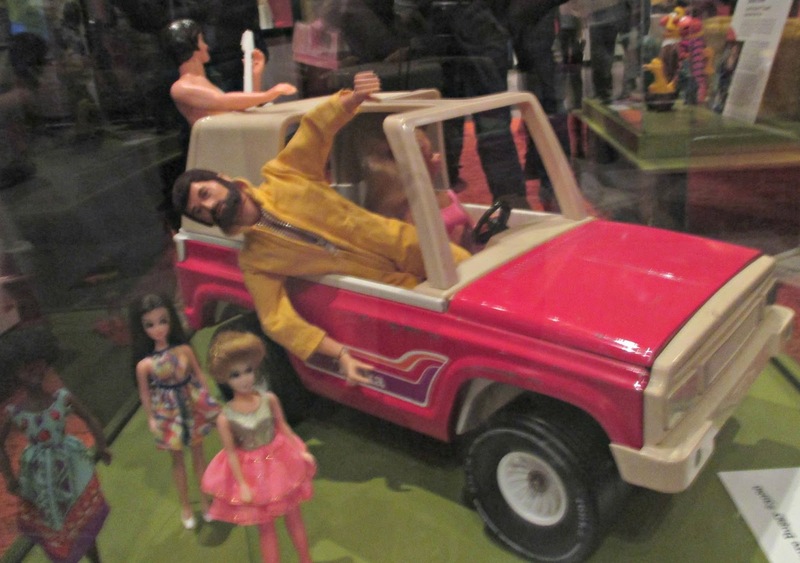 That's a Ginny doll in yellow in the front. Cooties! 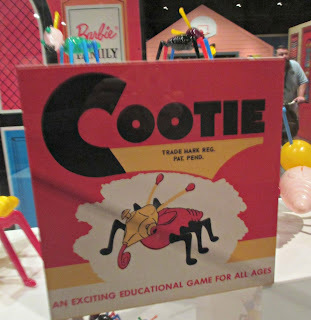 This is such a fun game. Jen Wrenne has a pattern for Chatty Cathy's dress! 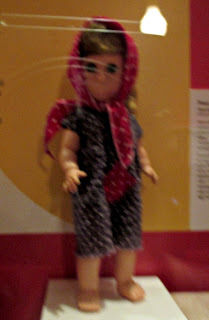 It fits American Girl dolls! 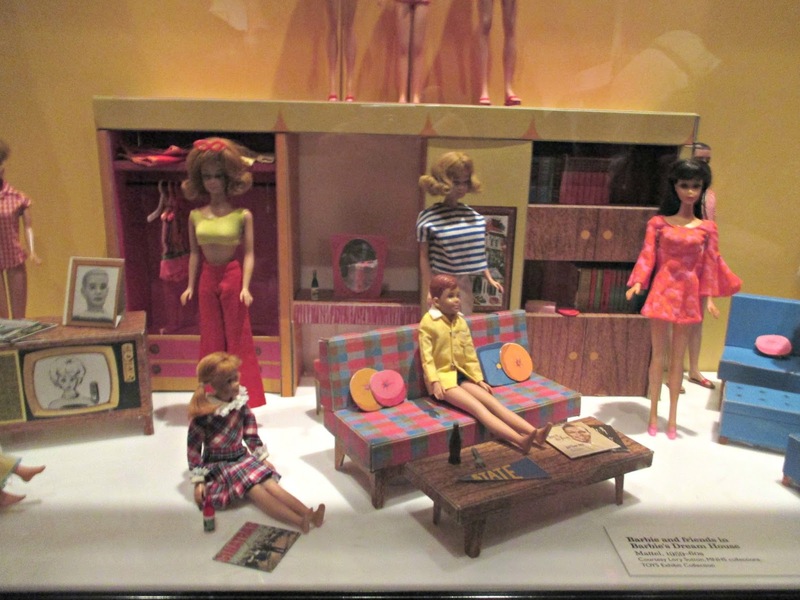 And, of course, there were lots of Barbies! 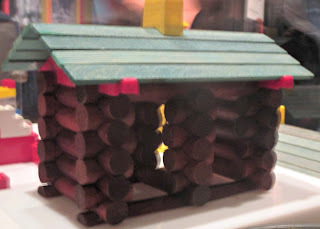 Lincoln logs were invented by the son of Frank Lloyd Wright. That is one of my favorite trivia facts. 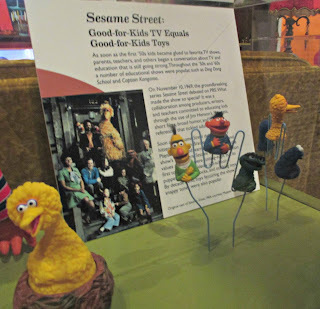 Sesame Street! 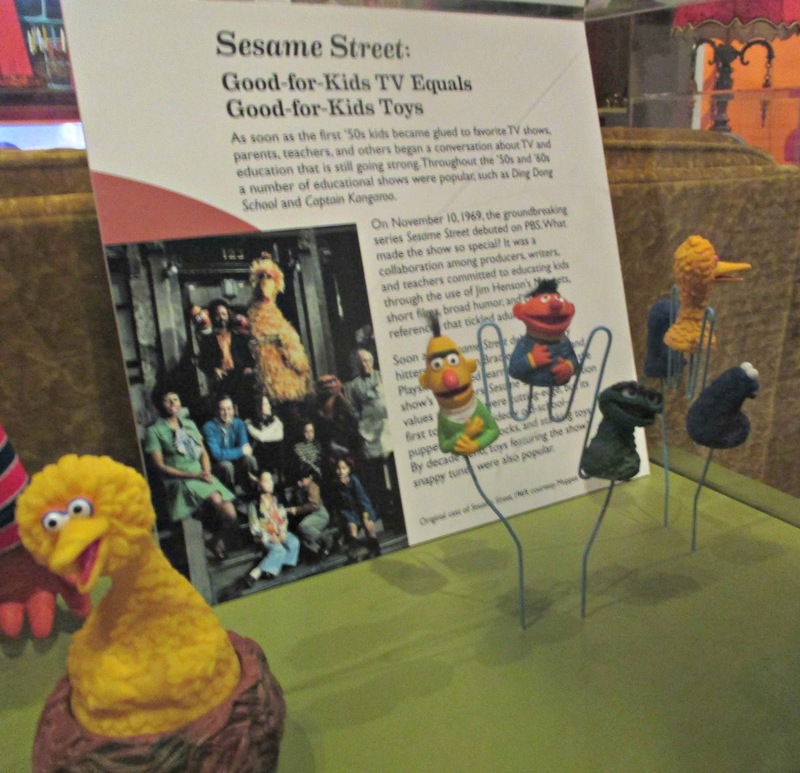 Jim Henson was very concerned with making sure that all Sesame Street toys were high quality and attempted to personally oversee quality control. 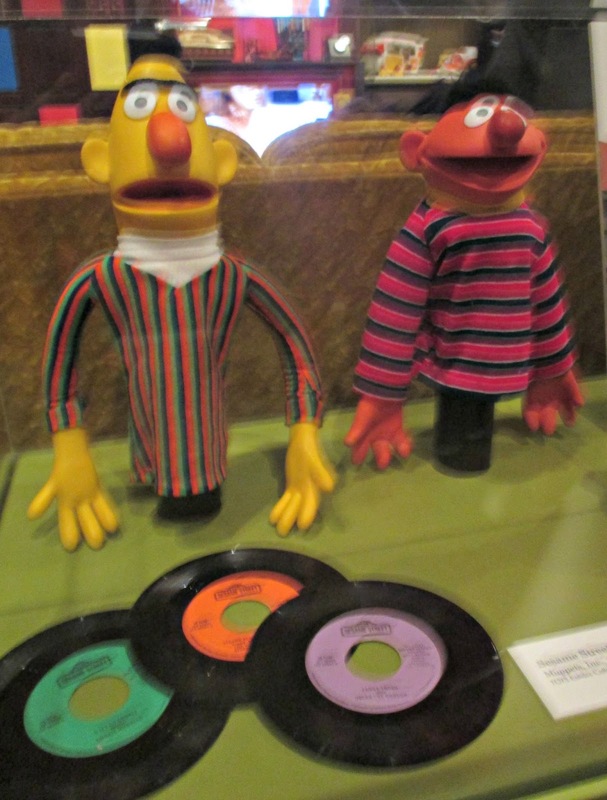 I seriously own that Bert finger puppet. Barbie size dolls called Dawn-something. 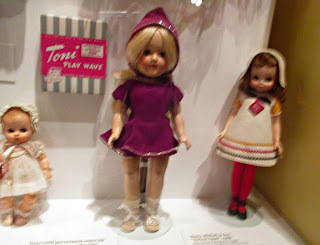 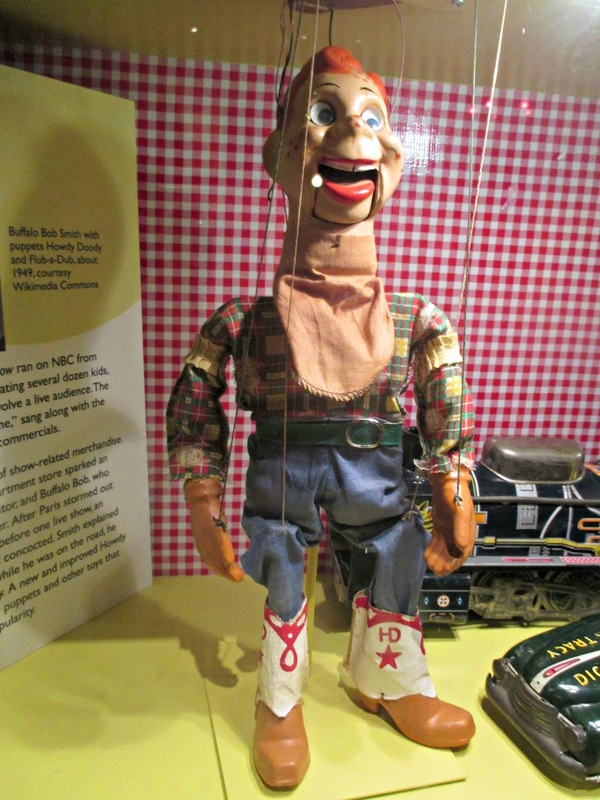 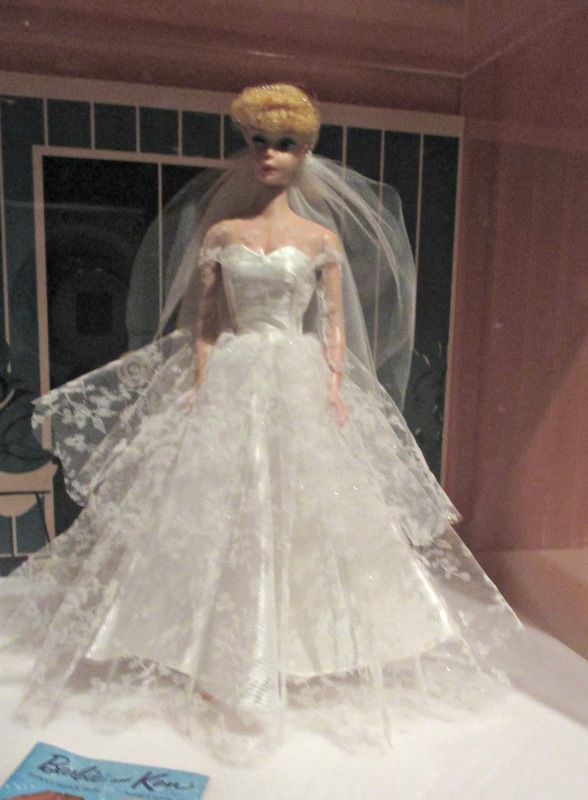 I hoped you enjoyed this look at toy history! 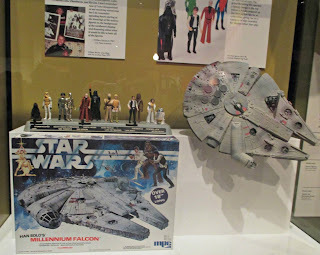 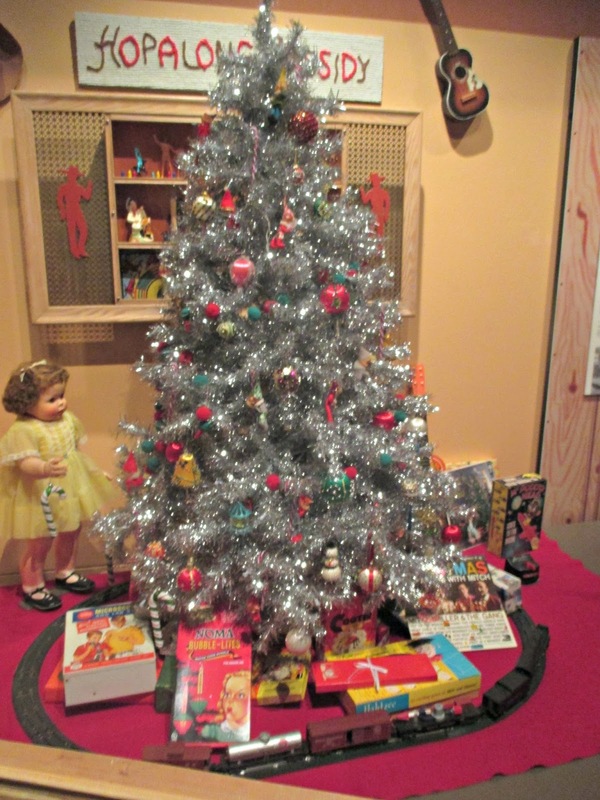 If you enjoyed this, over in Kansas City there is the National Museum of Toys and Miniatures. 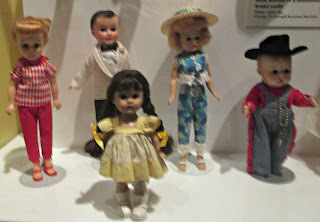 http://toyandminiaturemuseum.org/ I live out in the general area but I haven't been in since they reopened after renovations. It has toys back to the 1700s. That's out of my way, but I will keep it in mind! Someday I want to visit the Nelson-Atkins Museum. 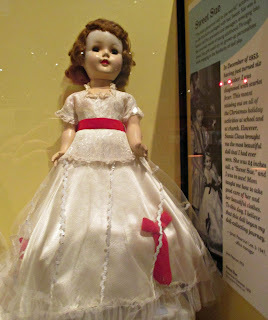 I saw this exhibit wheniywas in Denver last year at our history museum,it was awesome! Some of the toys in this exhibit specified that they came from St. Louis people, so I wonder how much the exhibit changes form one region to the next.